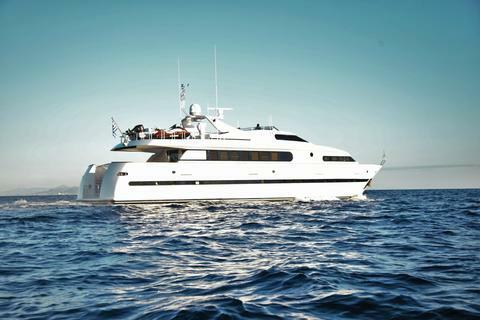 This Motor yacht Dominator 20.73 mt is available for charter in Athens, Paros , Mykonos and anywhere in Greece. With 3 cabins, she can accommodate up to 6 guests on board. Maximum 8 in daily navigation. With 3 Crew and many water toys on board. This Bugari Yacht of 30.40mt is completed refitted on 2014. With 5 cabine 3 double and 2 twin for 12 guests on board. 6 crew members will take care of you during your charter in Greece. 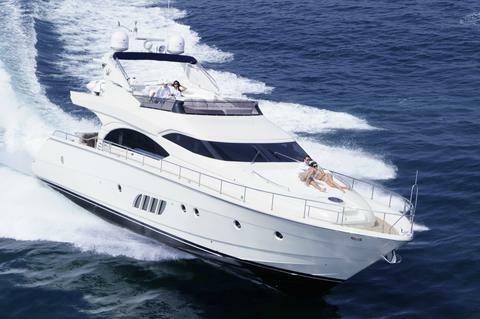 Do you offer yacht charter and boat rental in Messolonghi by yourself? Would you like to have a presentation of your charter boats and yachts with us? Sign up here as a boat rental company and edit your sailboats, powerboats or catamarans in our yacht charter data base.